CHARIOTS OF FIRE meets THE FIGHTER. For Cambridge University student James Livingston, only one thing matters: winning the Boat Race against arch-rivals Oxford. 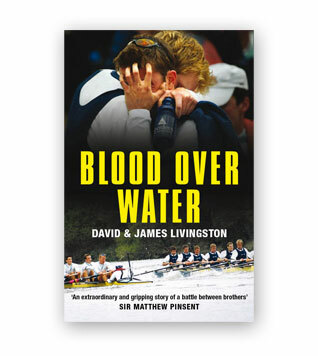 The Boat Race is rowing’s most famous event, and its toughest too. Every year 250,000 spectators flock to London to see the historic battle unfold. Broadcast to over 120 countries, the race is seen by over 180 million. On the surface, it’s Chariots of Fire; down below, it’s pure Fight Club. But standing in the way of James’ lifelong dream is his own younger brother, David. Tired of always living in James’ shadow, it’s now time for David to become his own man. He’d chosen Oxford against his family’s wishes, and now brother will face brother on the harsh tidal waters of the Thames. James and David’s rivalry threatens to destroy not just their own relationship, but the entire fabric of their lives. Their parents’ marriage begins to crumble, their studies falter and their girlfriends no longer recognise the men they fell in love with. All this damage, just for one race? No: it was for much more than that. It was for two young men’s very identities. And when they do finally compete against each other, it’s the stuff of legends, the closest and most dramatic Boat Race in its 160-year history: a contest of brutal, beautiful, lung-searing savagery. Sibling rivalry in its most vicious guise. The race of their lives, in every way. Copyright © 2019 Tideway Films in association with Harbour Pictures. All rights reserved.